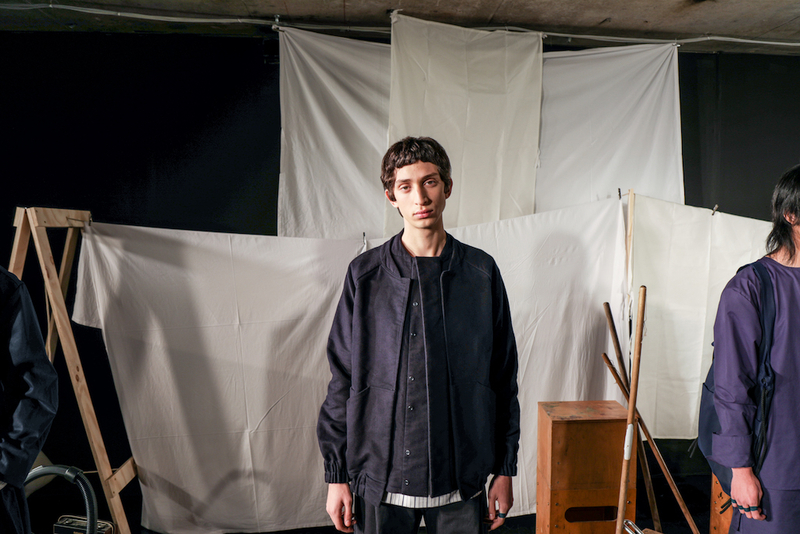 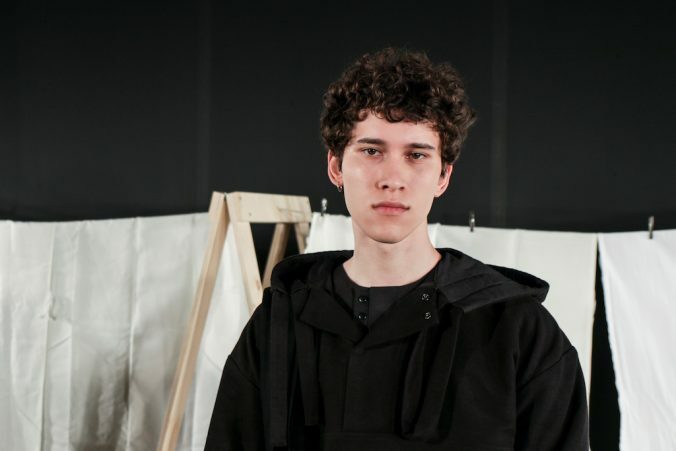 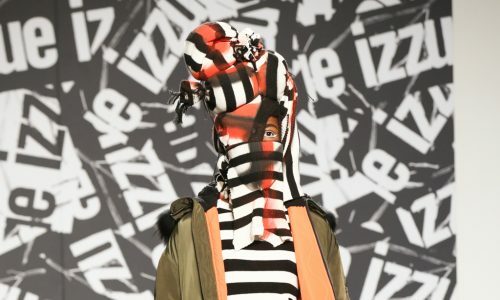 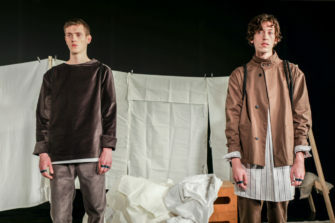 Phoebe English unveiled their menswear autumn/winter collection at the BFC Presentation Space for London Fashion Week Men’s. 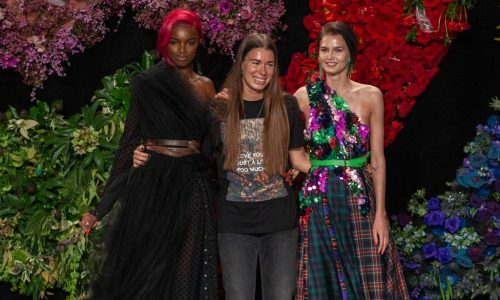 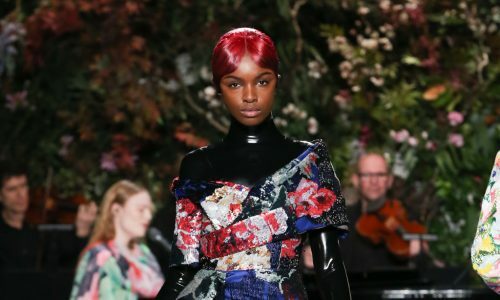 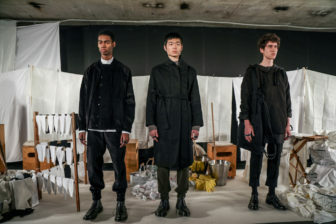 Making quite the visual spectacle with eight male models all out on domestic chores, the collection’s focus was clearly on practicality above overstatement; however, as result it produced an extremely wearable and durable set of separates. 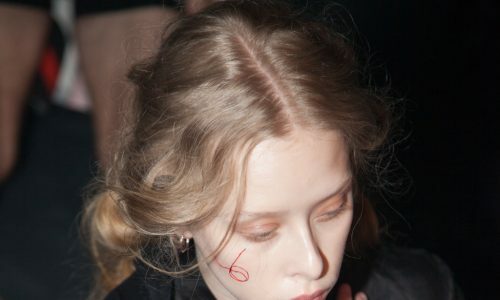 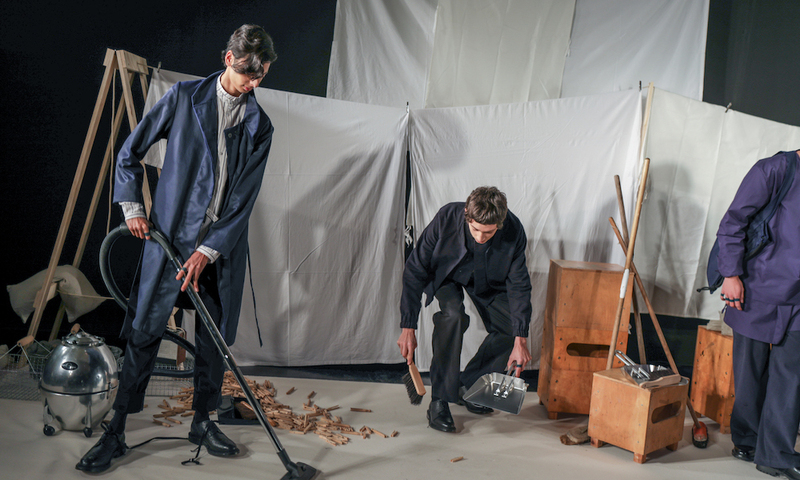 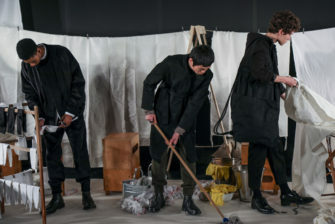 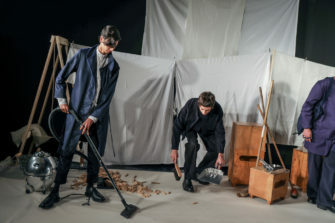 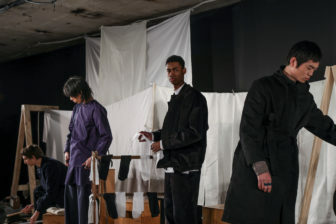 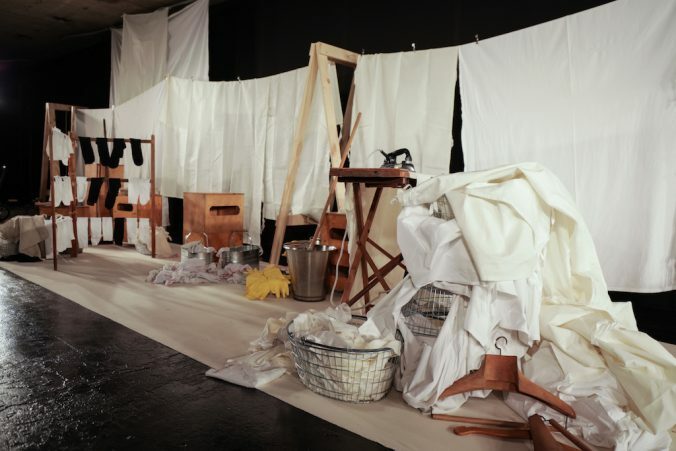 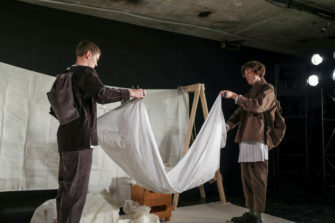 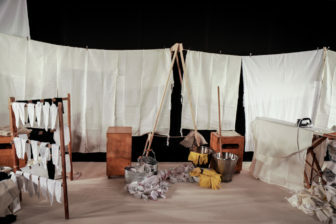 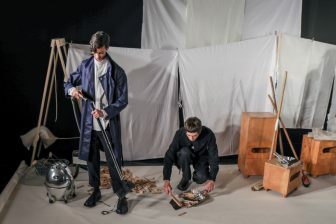 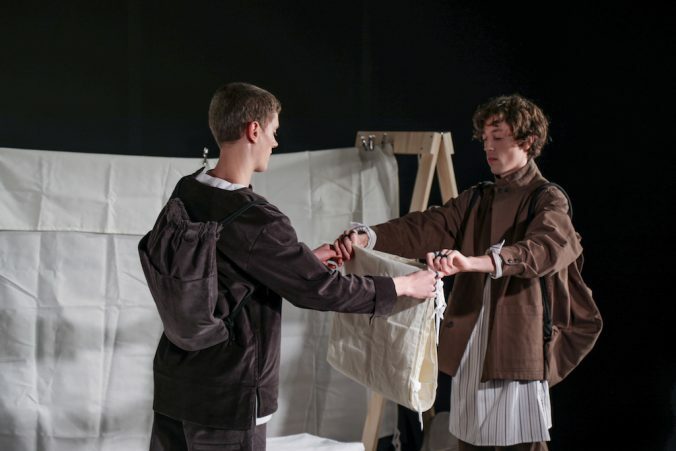 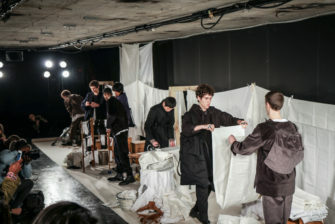 The expressionless men going through the repetitive motions of sweeping pegs, ironing and folding white sheets, and hanging socks in endless rotation to a trip-hop beat, brought a comic but surreal reality to the presentation. 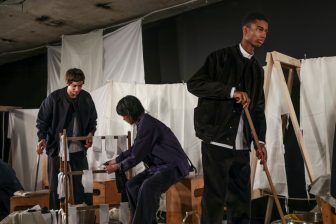 The deadpan performance, though, set off perfectly the down-to-earth collection they modelled. Natural fibres and an understated palette dominated: corduroys, velvets and waxed cottons in bright navy, army green and charcoal grey. 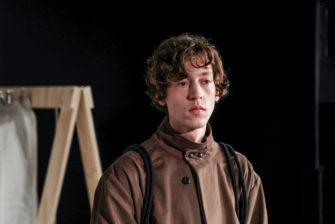 Military influences permeated the style of the leather boots and hue of the jackets. 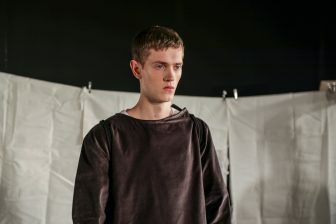 The adjustable bags and cotton joggers brought a comfortable, sporty edge. 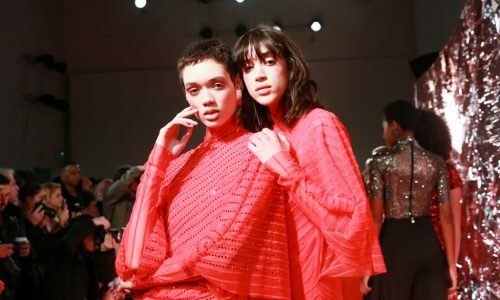 Hints of businesswear added an effortlessly smart-casual touch to vertically striped buttoned shirts with trimmed collars and brogue-inspired chunky black lace-ups. 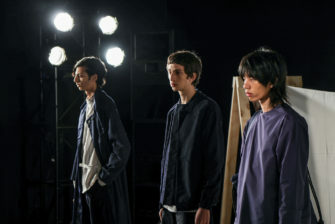 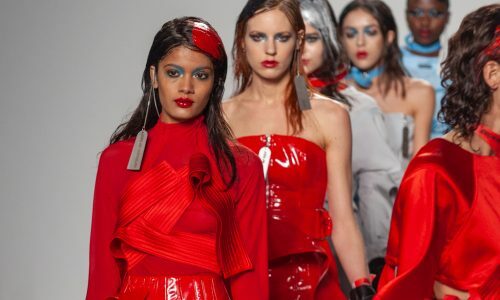 But the standout pieces were the range of hooded, biker-collar cut and mac coats, whose natural fabric finish balance refined style with a relaxed feel. 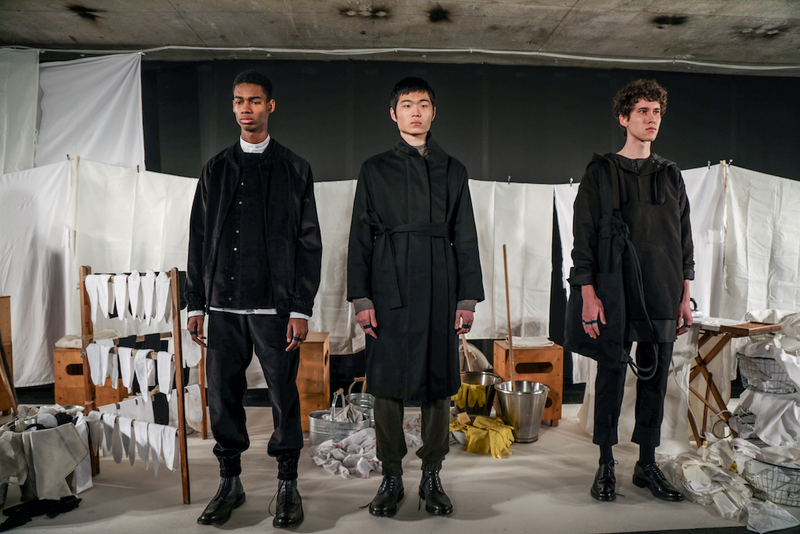 Overall Phoebe English’s men’s collection – all made in the UK – presented accessible fashion that achieves functional style with just enough subtle flecks of detail to belie a little creativity.